In the last twenty years, Americans have witnessed dramatic changes in the wider culture, and yet local churches have hardly changed. We pretend that people want the same things from church in the present day that they wanted in the 1950s. For this reason, 21st century Christianity in America is deeply troubled. Loren Mead states in the foreword, "Nash is terribly helpful to us in exploring the painful cultural divide we straddle between a world he describes as the modern world and the world emerging around us, which he calls the postmodern world. He clarifies for us how that very change is shifting the ground under our feet, making obsolete the practices of yesterday; making obsolete, as it were, even some of the institutional structures and the ways we have articulated the deepest things of our faith . . . New language and new structures will be needed for gospel truth to be articulated in this world of postmodernity." For a future to materialize, though, the church must first look in the mirror. Only then can corrective measures be taken to help make the church a more relevant part of peoples lives in the 21st century. If changes aren't made, the church will become obsolete much like an 8-track in todays digital world. 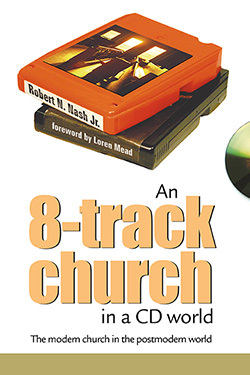 In the first half of An 8-Track Church in a CD World, Nash provides a clear picture of the problems facing the church. The second half of the book offers a look ahead to changes and approaches which can help churches minister effectively in the postmodern world. Robert N. Nash, Jr. is a popular seminar leader. He often directs workshops designed to assist churches in understanding the influences of cultural change upon Christian ministry. He is Assistant Professor of Religion at Shorter College in Rome, Georgia where he teaches in the areas of American religion, church history, and cross-cultural theology. He holds the Ph.D. degree in American Christianity from the Southern Baptist Theological Seminary and the M.A. degree in American History from Georgia College and State University. The son of Baptist missionaries in the Philippines, he has pastored three churches and served in other staff ministry positions. He has co-authored The Bible in English Translation: An Essential Guide and has contributed to an edited volume on cross-cultural ministry titled Many Nations Under God: Ministering to Cultural Groups in America. "Our world is in the midst of transition. Rob Nash is convinced that the church must take the emerging postmodern ethos seriously and that failure to do so jeopardizes its very health and vitality. Nash is right! 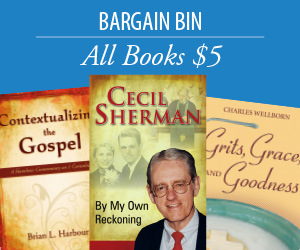 His prescription is "must" reading for concerned Christians on all sides of the current "cultural wars" not because at every turn he provides the right answers, but because Nash is engaging with the right questions." "Nash believes that it is time for Christians in America to come to terms with the transitions that are at hand. His work pushes us beyond our traditional structures, and calls us to explore options for understanding faith as we enter another century. Through it all, Nash finds his way to hope, and the promise that the church survives, that it remains for time and eternity the Body of Christ."